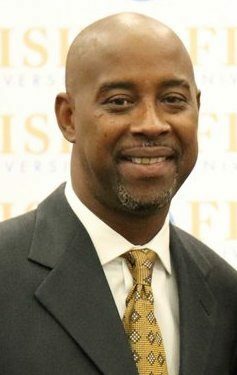 Kenny Anderson, a graduate of Archbishop Molloy H.S., Briarwood, has been named the head men’s basketball coach at Fisk University, Nashville, Tenn., a member of the National Association of Intercollegiate Athletics. While playing for the Stanners, he became the first local high school hoops player to be named All-City four times. As a senior, he was a McDonald’s All-American, New York State Mr. Basketball and Gatorade High School Basketball Player of the Year. After two seasons at Georgia Tech, Atlanta, Anderson was drafted by the New Jersey Nets with the No. 2 overall pick in 1991. The 1994 NBA All-Star spent parts of 14 seasons as a pro for multiple teams, averaging 12.6 pts. and 6.1 assists per game. Anderson inherits a team that finished 17-8 last season – its best finish in the past 35 years. This will be his first coaching job on the collegiate level after having spent the past seven years coaching travel youth basketball. In eight playoff games, the point guard averaged 10.0 pts. and 6.9 assists per game en route to winning her third career WNBA championship to go along with four Olympic gold medals. 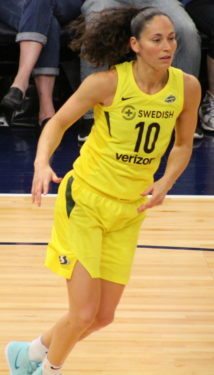 An 11-time WNBA All-Star, Bird played her junior and senior seasons of high school at Christ the King. During those years, the Lady Royals won back-to-back city and state titles as well as high school national title her senior year. For her efforts, she was named an All-American and New York State Player of the Year. The Catholic Youth Organization (CYO) of Brooklyn and Queens officially began its partnership with the Play Like a Champion Today sports ministry education program on Sept. 15. Over 70 parish athletic representatives and athletic directors attended the Play Like a Champion Today conference at the Immaculate Conception Center, Douglaston. 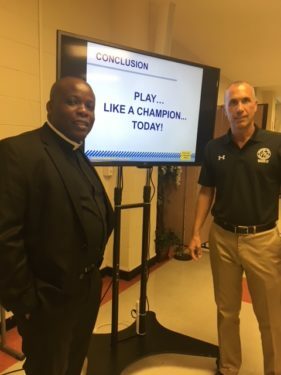 After a prayer service led by Father Dwayne Davis, pastor of St. Thomas Aquinas, Flatlands, Kristin Sheehan, program director for Play Like a Champion Today, conducted a workshop for the CYO leaders. Topics included athletics as character building, best coaching practices, sportsmanship and responsible decision making. For each, the emphasis was placed on coaching as a form of ministry, sports as a form of play and developing effective partnerships with sports parents. Earlier this summer, CYO Director Rob Caldera attended the annual Play Like a Champion Today conference on the campus of the University of Notre Dame, South Bend, Ind. Next year, the opportunity will be available to the diocesan CYO leaders.